Let us start with understanding what is SRP? 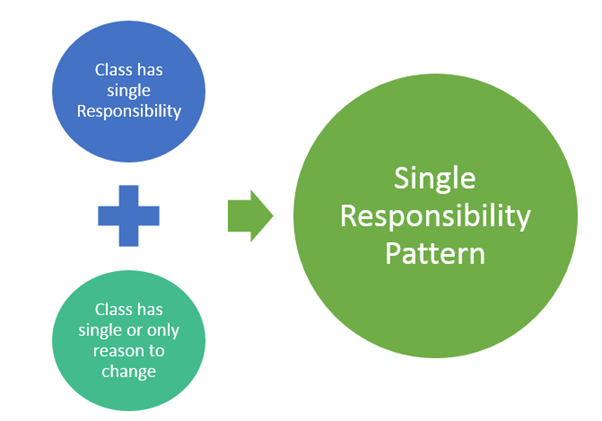 Single Responsibility Principle says every class should have single responsibility and all the responsibility should be encapsulated in the class. To explain it further assume you are creating a creating class to Calculate Salary. Now if you have two methods in class like below. Usually we can think of these two methods in a Salary class. Since Salary class has two responsibility so there are two reasons to change it. 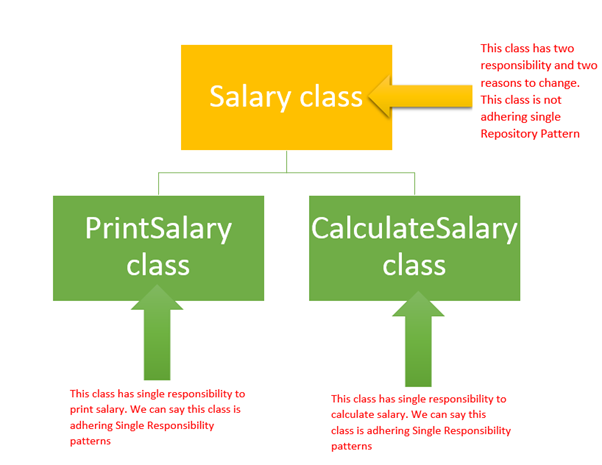 We can say Salary class is not following Single Repository Principle. Next we need to find that how could we divide two responsibility in two separate class. So above Salary class can be divided into two separate classes. One class to CalculateSalary and another to PrintSalary. Below is the class CalculateSalary. This class got only one responsibility to calculate salary. Another class is PrintSalary. This class also got only one responsibility to print salary. Let us understand what we done now is divided Salary class in two separate classes. Salary class had two responsibilities and two reasons to change. Now we have created two classes respectively for CalculateSalary and PrintSalary. As of now you should have idea about Single Responsibility Principle. To summarize Single Responsibility Principle says a class should have single responsibility and only one reason to change. I hope you find this post useful. Thanks for reading.